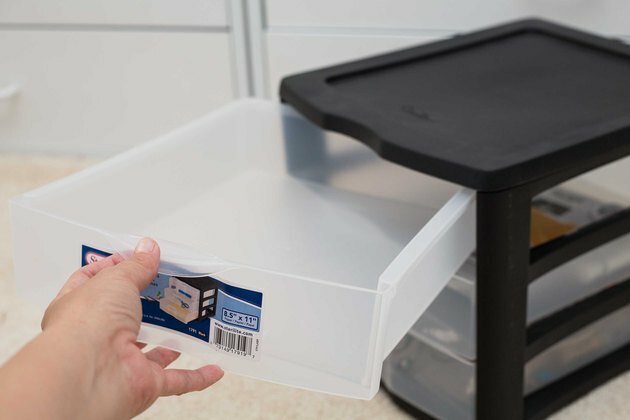 Sterilite manufactures plastic storage units with pull-out drawers in a variety of sizes. 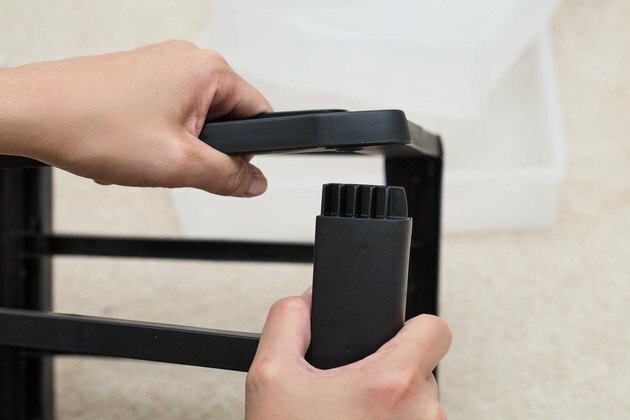 The storage units snap together in a few minutes with interlocking parts and can be disassembled just as quickly. 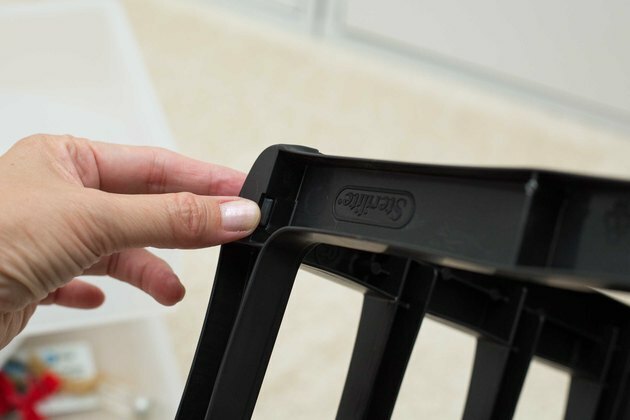 No tools are required to put together or dismantle Sterilite drawers and storage components. 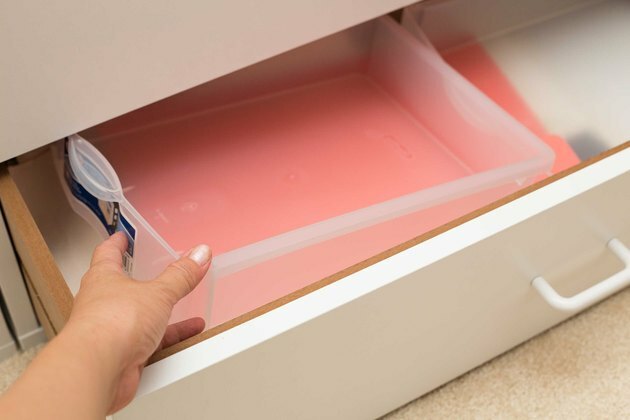 Pull out all drawers from the Sterilite frame. Press the tab on each inside top corner of the drawers and the frame to unlock the parts. 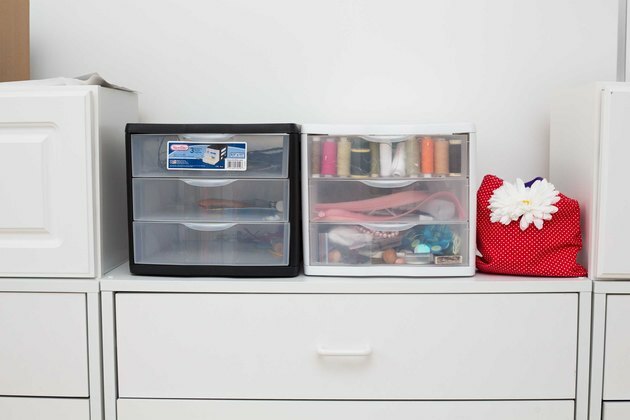 Pull apart the plastic drawer panels and the frame unit for each drawer. Each individual frame section lifts straight up from the sections below. Store the Sterilite parts in a cool, dry place, away from direct sunlight.